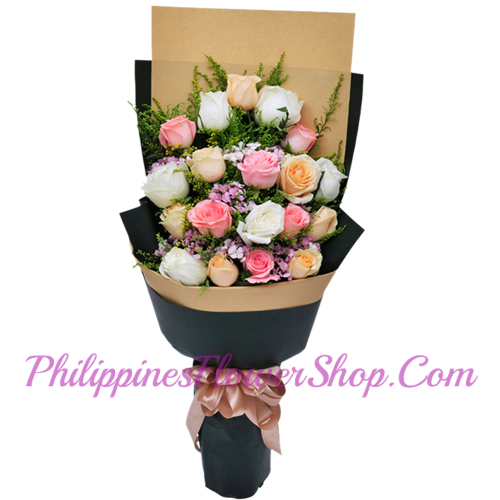 24 Mixed color roses bouquet .Loving Memories are never a distance, only a thought away. Set the mood on a new level with precious blooms in the most delicate shades of pink and red & peach. Send a message of happy to that special someone in need of a big warm smile!